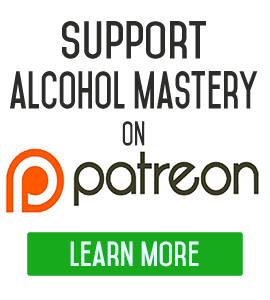 After you give up alcohol, novelty creates neurogenesis. Today I wanted to talk about neurogenesis and novelty. The novelty once you quit drinking. 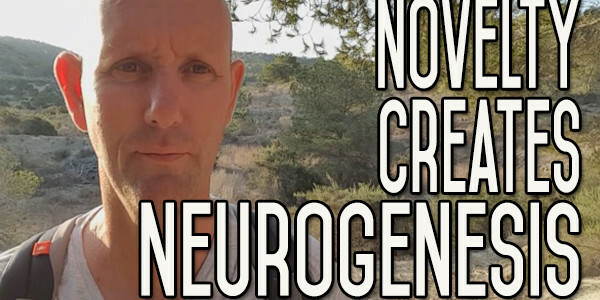 Neurogenesis is the creation of new neurons in your mind. A lot of scientists have said that this only happens when you’re a kid, when you’re in the womb, when you’re a baby, and that theses neurons are to help you to adapt to the world you were born into and all that kind of stuff. But there’s a lot of recent research that claims that this process happens throughout your life, and especially when you’re learning. So, it helps with your memory, it helps to develop your brain in new way. I love this field of neurogenesis, and neuroplasticity which is the ability of your brain to transform itself and to change its shape, not physically but to change the pathways. Just to adapt to what you’re doing in your life. One of the things people say is that the thing that defines alcoholics is that their brain has actually changed. And, it does, there’s no doubt about that. But your brain changes all the time. If you sit down on your arse and do nothing, your brain is going to change. Something will happen to your brain, there’s no doubt about it. You brain adapts to the circumstances, to the context that you’re in, to the person that you are, and it atrophies more than anything else. The more you can do one thing, the less you can do something else. The less you use certain parts of your body, the more atrophied they will become, and the more useless they will become. They say if you don’t use it, you lose it. Muscle building world where people are trying to build their muscles up. You have to build or you’re going to lose them. You have to use your skills or you’ll lose them. It’s different when they say ‘once you can ride a bike, you can always ride a bike’, well it depends on the level of bike riding they’re doing. If you want to ride a bike competitively and you don’t ride it competitively for a long time, you’ll still be able to balance on a bike but there’s no way you’re going to be able to compete in bike races. Same thing with anything in life. Alcohol sort of kills certain parts of your brain. It alters certain parts of your brain in a bad way. On the other hand, when you stop drinking alcohol, you undergo a process of change. 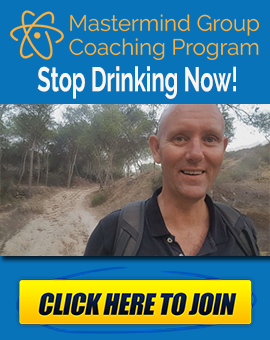 You have to go through the change and the change is not in you stopping drinking. That’s only the first part of this. The minimum part of this. What you have to do is change the framework that your life is built around. So, all the different things that you’ve been doing in your life that have held up the alcohol and maintained the behaviour, you’ve got to change that. This is where novelty comes in, and you have to start learning new things, you have to start thinking about what you’re going to do, when you’re going to do it and how you’re going to do it. You have to start thinking about things from your perspective and this is where the novelty comes in. But novelty builds your brain. Learning prevents so many diseases from happening in your life. They’ve said brain diseases like Alzheimer’s and certain types of dementias can be halted, reversed through people learning, through people using their brains. That’s why they say it’s important for people to do brain games and crossword puzzles, and this is what that’s tapping into – the idea that if you don’t use your brain, then you’re going to lose your brain. The more you use your brain in the right way, the more you challenge yourself. Whether that’s challenging your environment, challenging the people you’re with, challenging yourself to learn new languages, new skills. You’re going to grow different parts of your brain and help heal your brain from all the alcohol abuse that you’ve done. When something new comes into your life, your neurons start firing off. It sort of sparks things to happen. Like I was saying in the previous video, we’re wired to be inside our comfort zone just because we were once the hunted. We were once the ones that the animal with the big teeth wanted to eat. But all that wiring does us no good in the modern world. This novelty gets your neurons firing, and the opposite is true as well. When you’re inside your comfort zone, when you’re doing the same thing day after day with the same people inside the same environment, you try and do the same types of stuff, you don’t learn anything now, then your neurons are firing less and less. You’re using your brain less and less, and what you don’t use, you lose. This video is to try and get you to see that by quitting drinking and pushing yourself into this new world that you’re inevitably going to have to face without alcohol, to change certain aspects of your life, you’re going to do not only your body and brain the power of good by getting rid of this toxic substance but you’re going to do your brain the power of good because all this new learning that you’re going to do is going to build new brain cells. It’s going to help you re-map your brain, and that’s the hardest part – remapping. But that remapping will go on from the beginning, so it’s a gradual process, it doesn’t happen overnight. It’s like losing weight, you can’t lose weight overnight. When a woman becomes pregnant, she doesn’t go ‘oh well, 4 ½ months are gone now, I’ll just see if I can pop out this baby’, it doesn’t happen like that. You have to go through the whole process. It has to be 9 months. It’s the same way with the alcohol, you have to go through the discomfort, you have to put up with it for as long as it lasts. It’s always going to be dialled up or down depending on what way you think about it. And your brain has to remould itself around your new life. It has to rebuild itself. 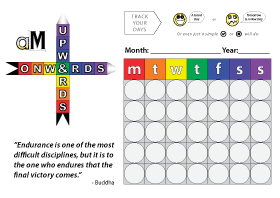 But it will do that, and the more you challenge yourself, the easier it will be in the future because these new pathways will spur you on to do better things. It will become easier to make those improvements in your life. A nice word that I like – neurogenesis. Neuroplasticity. These are things that ae happening all the time. Things that happen one way or another. Neuroplasticity either works for you or against you. If you carry on drinking then your brain will mould itself to the configuration of a drinker. 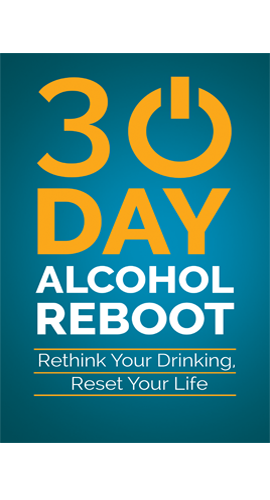 If you stop drinking and make the changes in your life that you need to make, your brain will reconfigure itself to the configuration of a non-drinker. Come on over to the website, you’ll find the audio and transcript of this. Keep making those changes and keep learning. Your brain is capable of continuing to grow well into your old age. YOU HAVE TO RESIST TEMPTATION IF YOU WANT TO REACH YOUR DESTINATION.